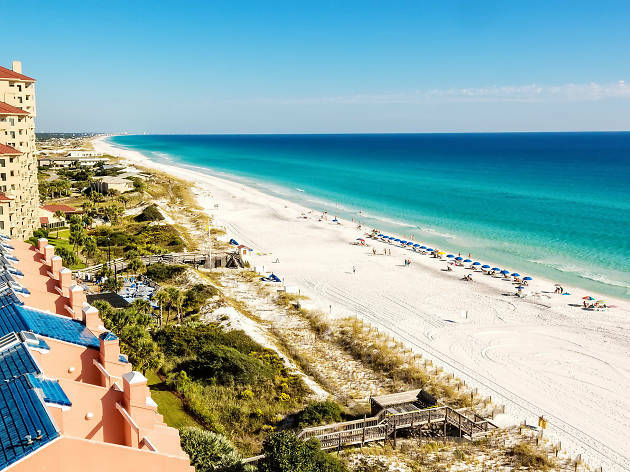 Destin, located on the Florida Panhandle, is one of a series of beach ports that line the Gulf of Mexico—also known as the Emerald Coast, given its clear blue-green waters. But Destin offers so much more than a beach vacation. 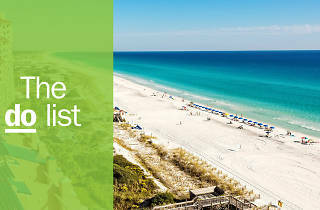 Its waterfront restaurants and activities from beach parties off the boardwalk to sea cruises and wildlife experiences, all part of our list of best things to do in Destin, make it destination not to miss. What is it: Fine white sand and water so crystal-clear you can see the ocean floor, this section of beach is one of the area’s very best. Why go: Dotted with colorful beach cottages (many of which you can rent), this is the place to spend days in the sun. Beach activities are a no-brainer—it’s all about slowing down and relaxing to the sound of the surf here. 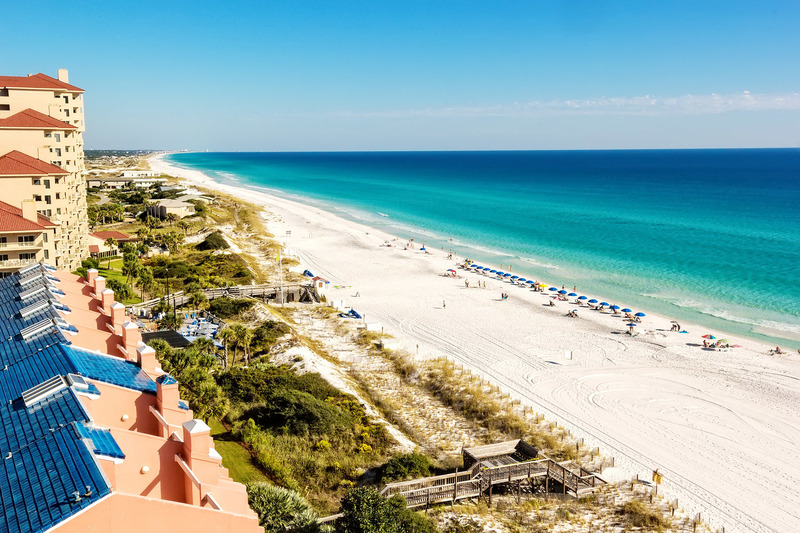 Soak up some vitamin D, build sand castles, play in the waves. For lunch, sample seafood from any of the spots on beach or grab sammies from a local shop for a picnic. What is it: This state park offers access to the beach and also a hiking route through the sand dunes. The best part of it all? It’s quiet and secluded. Why go: Pack a picnic lunch and a cooler full of drinks, and hike through the sand dunes on the nature trail. The last remaining patch of coastal scrub in the area, it plays host to all kinds of flora and fauna you won’t find elsewhere. The pavilions include grills for those who want to cook outdoors. These are also fishing options, a playground and campsites. What is it: Done with the beach? 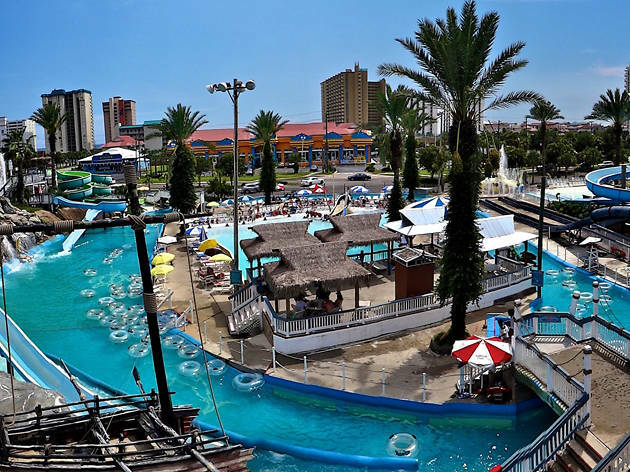 This waterpark is home to various pools, water slides, play areas, mini golf and amusement park rides for a day off the sand. Why go: Speed down the Kowabunga Racer, play among the waterfalls at Bombs Away Bay, float gently down the Lazy River or "surf" on the Honolulu Half Pipe. 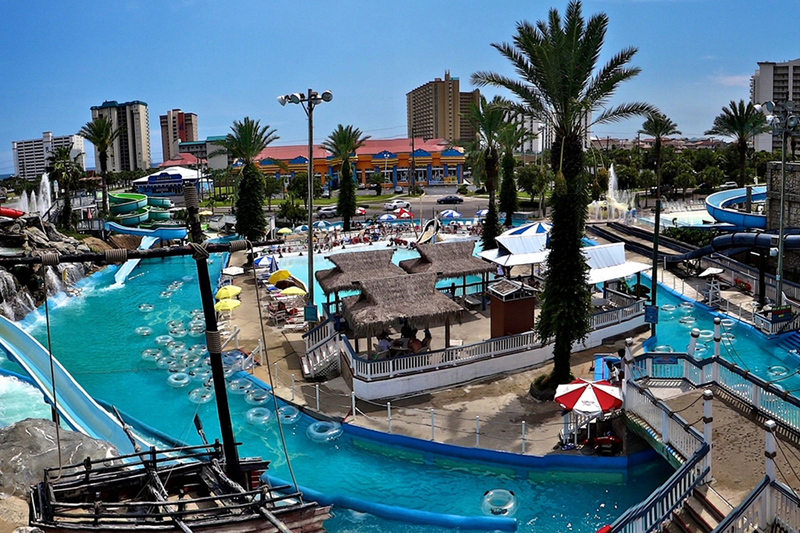 Play a 54-hole mini golf course with a Hawaiian theme, scream your way through the adrenaline-filled Cyclone ride, and fill up on all the amusement park food you can at the Gulfview Food Court, from turkey legs and nachos to barbecue pork sandwiches and funnel cake sticks—a true American culinary adventure. 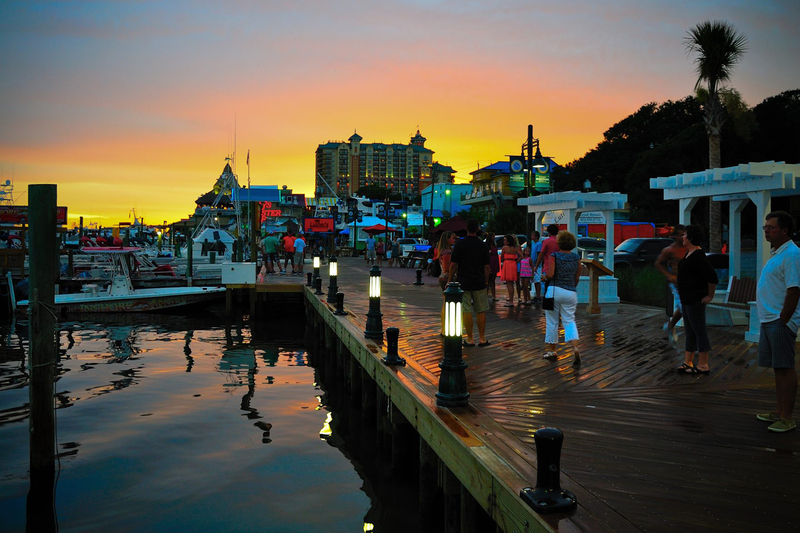 What is it: A quarter-mile-long boardwalk chock full of shops, eateries and entertainment options with access to the marina. 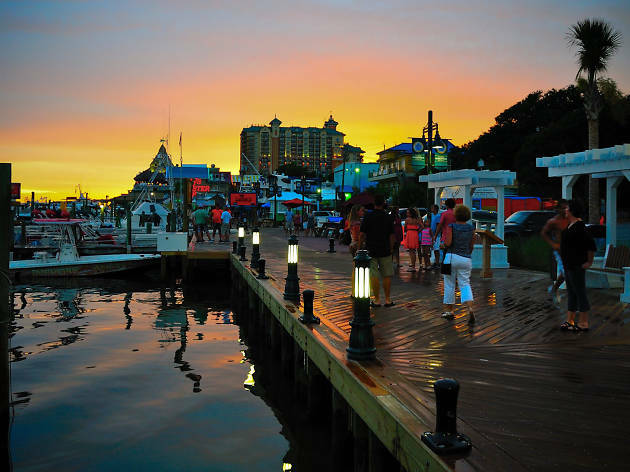 Why go: With a lively circus-like atmosphere, the boardwalk has everything from caricature drawings to henna tattoos, plus buskers, boardwalk games, live music, ziplining and escape rooms. 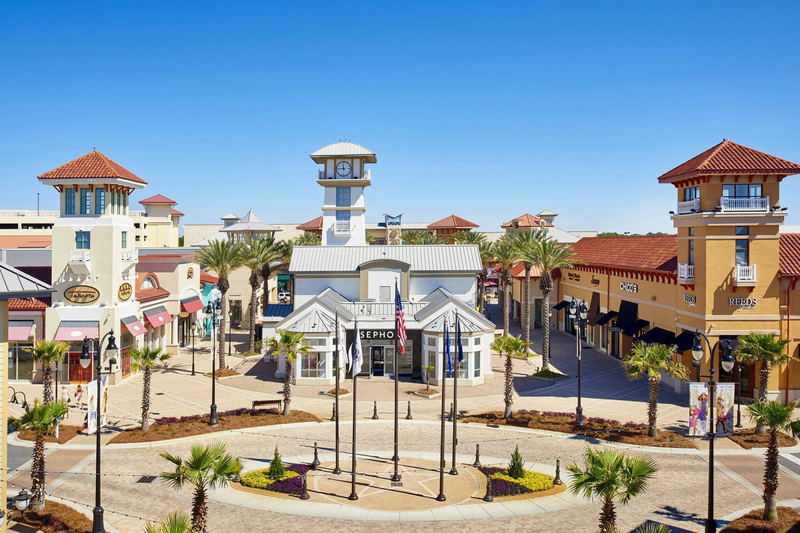 Check out the jewelry, beachwear and souvenir shops, plus a candy shop. 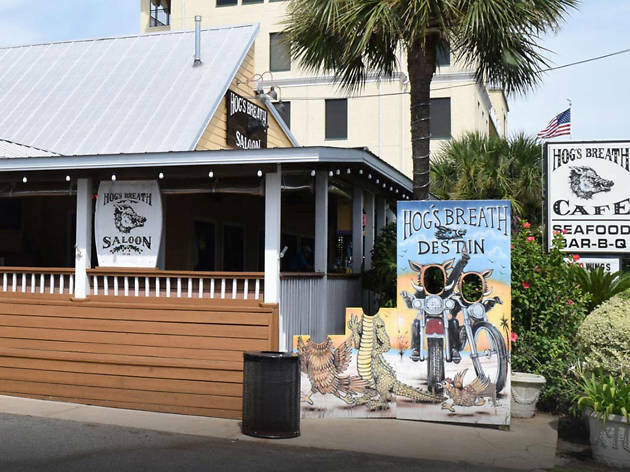 For eats, skip the tourist traps and instead head off the boardwalk to local seafood places like Dewey Destin’s Harborside. The HarborWalk Marina is also where to rent jetskis, paddle boards, canoes and kayaks and charter any of the boats (catamaran, party boat, dolphin watch, speed boats, glass bottom) for nearby day trips. What is it: Ahoy! 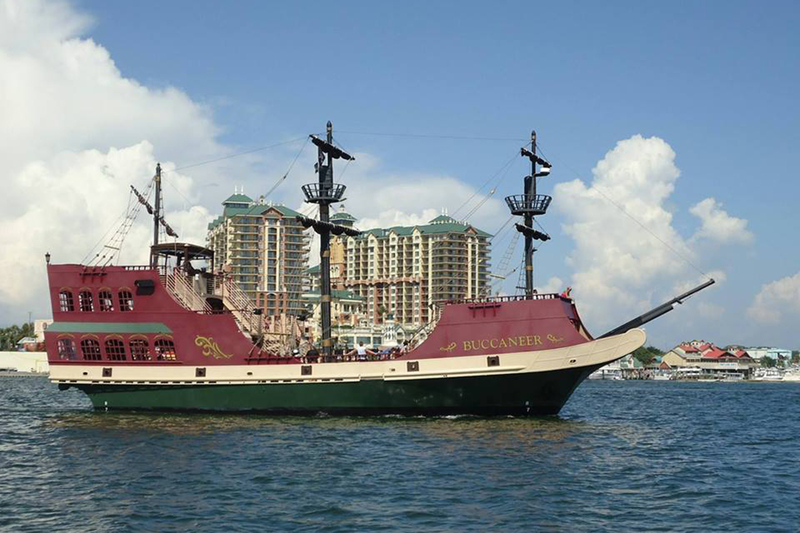 Get caught up in the fantasy of pirate life on this almost two-hours-long cruise. Why go: Kick back and relax with an adult beverage from the snack bar or join the kids for face-painting, sword battles, water gun fights, scavenger hunts and a singalong. 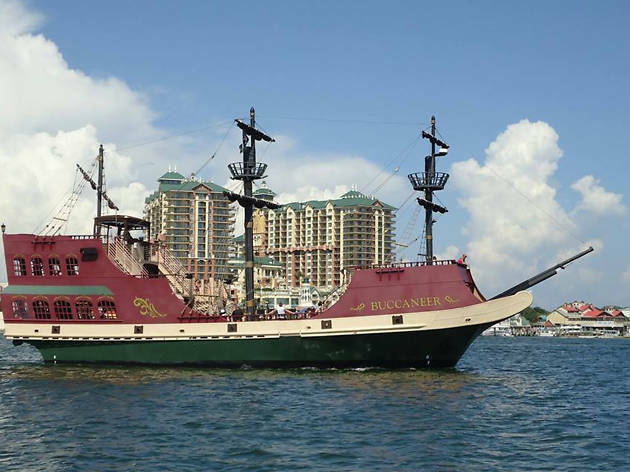 Listen to stories of the seven seas and watch the pirates shoot the cannon before bringing a treasure chest up from the waters. Even the littlest swashbucklers will have a grand adventure. 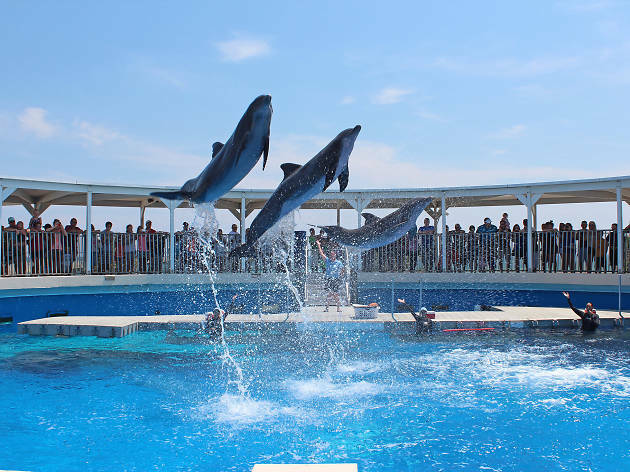 What is it: Full of ways to discover sea life, this park features touch tanks, viewing tanks, dolphin performances and an obstacle course. Why go: If you want an up-close-and-personal experience, this is the place to go. 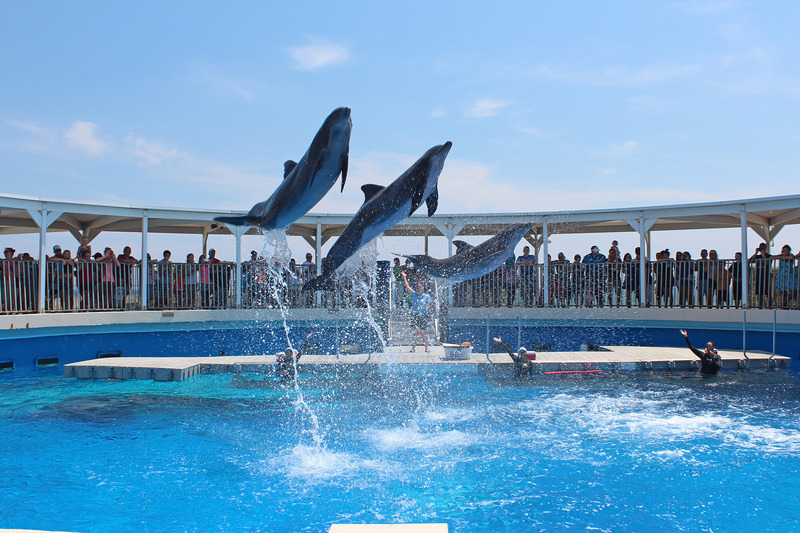 Snorkel with stingrays, swim with dolphins or be a veterinarian helper and spend hands-on time with turtles, baby gators, penguins, sea lions, hermit crabs and starfish. Future marine biologists will fall in love but it’s a great once-in-a-lifetime experience for adults, too. 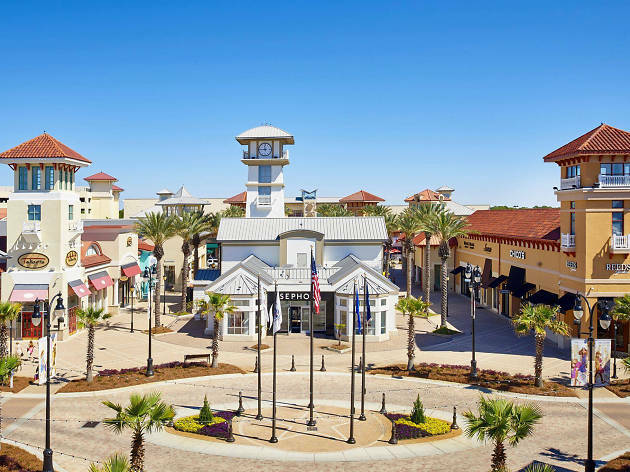 What is it: An expansive outdoor shopping mall with popular brands like Sephora and Sharper Image, plus fast, casual eateries like Chipotle or fine-dining at Divieto (yes, you want the fettuccine swirled in a big round of parmesan). Why go: Expect a splash fountain, a movie theater and the Commons’ open-air, communal vibe to lend themselves to the fun events hosted year-round, with everything from classic car displays to yoga classes. What is it: This waterfront beer garden features craft brews and bites served from a converted Airstream trailer. Why go: The pared-down patio setup lends itself to laidback dockside living. With 16 rotating taps featuring breweries like Ballast Point and Stone (plus a few wines), it’s a beer lover’s paradise. The spot's known for bratwurst and burgers (try the bacon- and cheddar-topped Awesome Burger), but also has a selection of seafood entrées and more pub favorites. 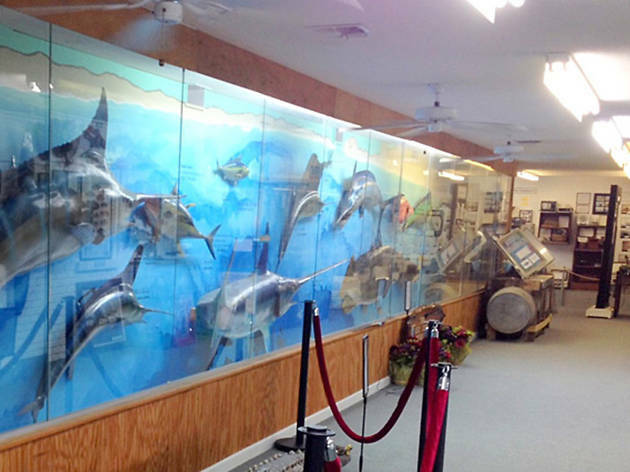 What is it: Find out why Destin’s nicknamed "the world’s luckiest fishing village" at this interactive museum. Why go: Exhibits trace Destin’s history to its original indigenous inhabitants, but its focus is the area’s fishing culture and industry and its metamorphosis into a tourist destination. 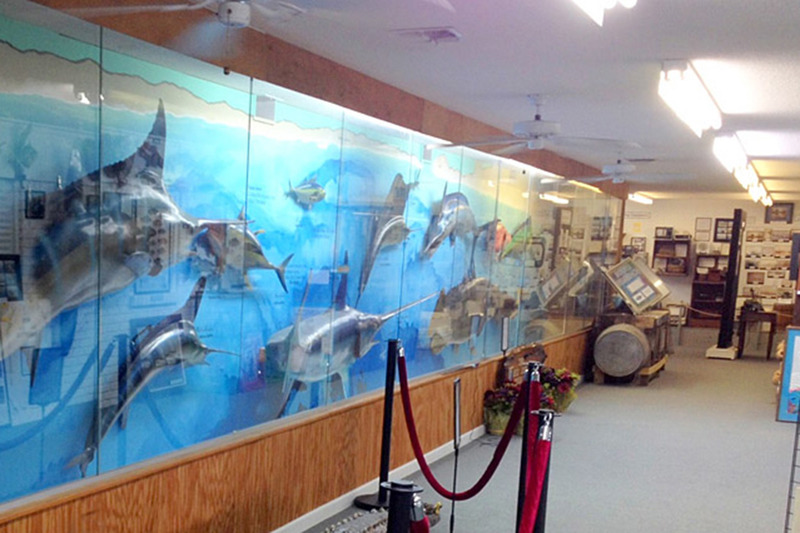 Find a 100-foot-long display of fish mounts caught in the area, a fishing rod that once belonged to Ernest Hemingway and a 1925 fishing boat. 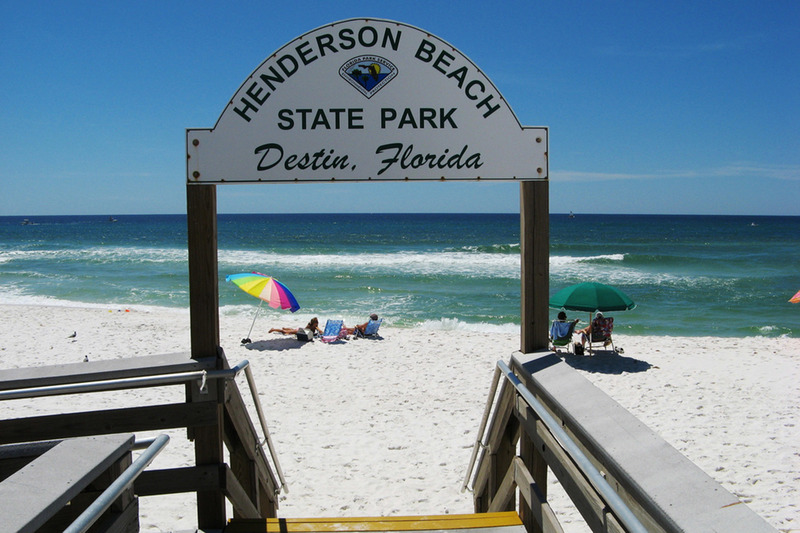 School yourself on Destin history with a scavenger hunt. What is it: This Southern-style saloon started out as a local watering hole in the late 1970s and has built a cult following. Why go: Dark wood paneling and neon beer signs are the dive-bar relics of Hog’s Breath, where locals come in to play pool and listen to live rock. Visitors can enjoy a raw bar for oysters and other fresh seafood like peel-and-eat shrimp and crab claws, but the specialty is barbecue. Try slow-smoked ribs or brisket with baked beans, coleslaw and Texas toast or the Hogzilla platter. What is it: Local legend AJ’s began in a trailer right on the dock, shucking oysters. 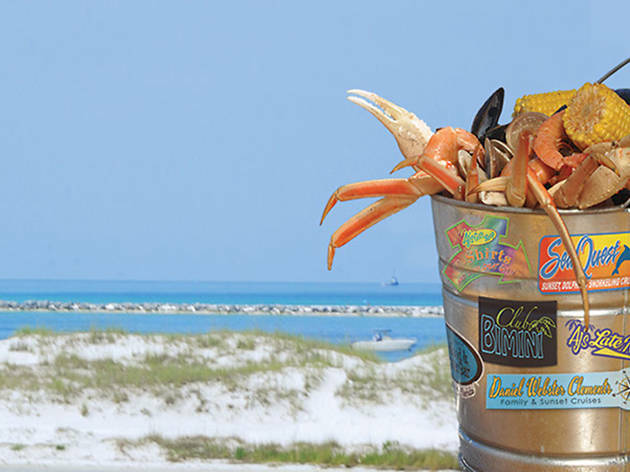 Today, AJ’s is the place in Destin to eat fresh seafood: oysters several different ways, crab, shrimp, lobster and fish of the day, often with a Southern twist. Why go: You can even bring in your own catch from a charter boat and have it cooked your way with coleslaw and hushpuppies. 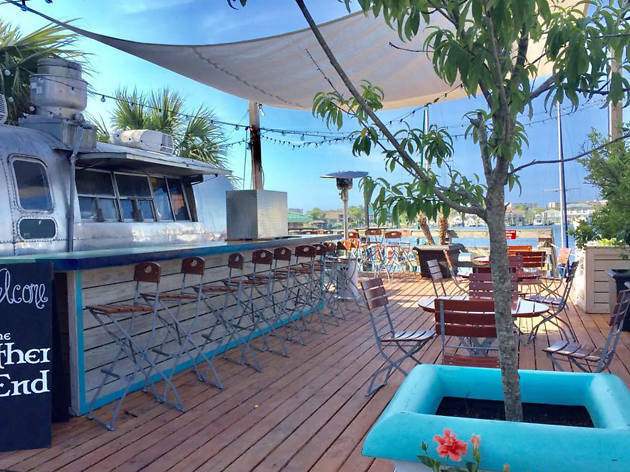 The large wooden deck packs in the crowds (the tiki bar and harbor views really are something) with beer specials and live music at AJ’s upstairs clubby venue Bimini Bar. 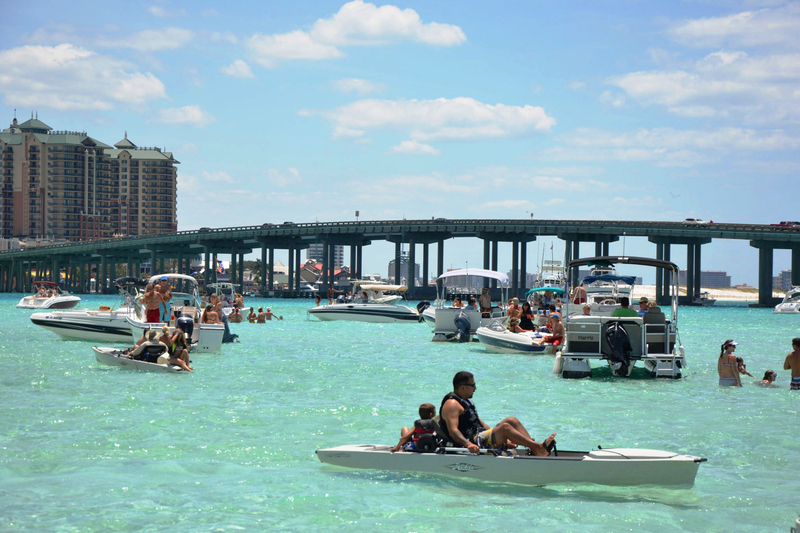 What is it: This sandbar in Destin Harbor has become the spot for party animals to congregate and frolic in the sun and shallow water. The once crab-shaped island, now underwater due to a hurricane, is full of marine life and beachy fun, but can only be accessed by boat (you can rent one at the marina). 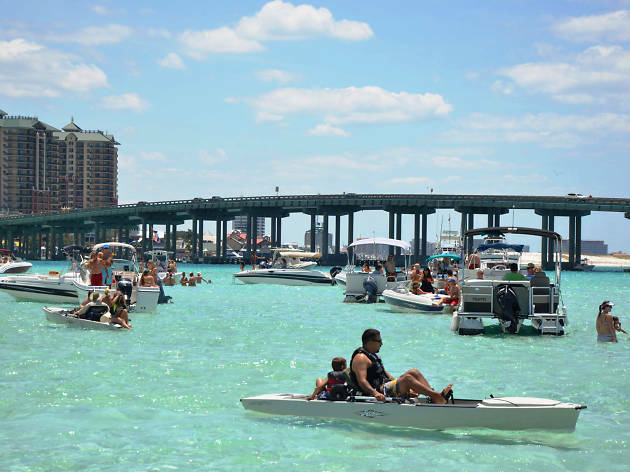 Why go: Locals and tourists by the hundreds flock to Crab Island where knee-deep, clear water allows for volleyball games, floating in an inflatable (rent one there), eating, drinking and live music. Swim up to floating vendors along the sandbar—among them, WaterWorld is the largest floating restaurant, it features live music, shrimp po’boys, daiquiris and even a floating dancefloor.